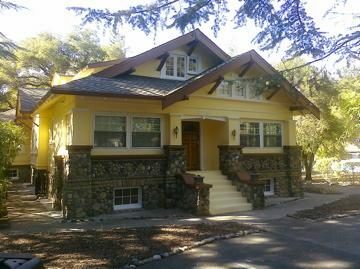 They painted my house, I loved it and the price was reasonable. They were quick, they got it done, and they were very professional. They had a plan and they wrote everything down that they were going to do and they followed it. There were no questions, it was all spelled out. I thought they had excellent service. It was very personal, the price was right and I felt like I really got an excellent job. Everyone from the owner, Cleve, to each person who showed up to work on our job site was just excellent. They cleaned up everyday and our house was put back to normal at the end. They've done 2 jobs for us before, they did the interior and exterior of our house. Their work surpassed my expectations, I have pretty high expectations. The quality at the appropriate price, and the quality of the service and the paint was excellent. I think they did a great job. Very reasonable, the service was impeccable, and they take care of all your needs. It was all good. Their timing went along accordingly to what they told me so they were in and out. 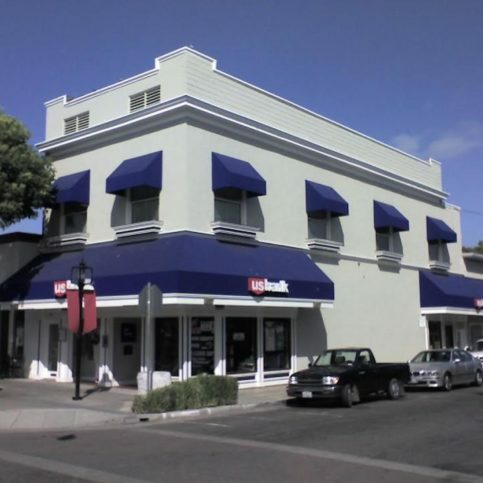 The Painting Pros has been providing high-quality residential and commercial painting services for thousands of South Bay customers for more than 40 years. 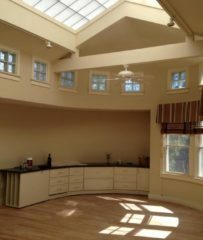 The company also handles deck refinishing, light carpentry (trim installation and general repairs), and minor sheetrock repairs and texturing. Additionally, the company offers free, personalized, in-home, professional color consultations to customers who are unsure about choosing the correct paint colors for their homes or businesses. Owner Cleve Dayton established The Painting Pros in 1978 and has preserved his “old school” methods of painting by teaching them to his younger painters, but he also makes sure to keep up-to-date with the trade’s latest technologies, tools and methods. “In fact, we were the first painting company to become a Certified Green Business in Santa Clara County,” he says. “We’re also a Lead-Safe Certified firm." 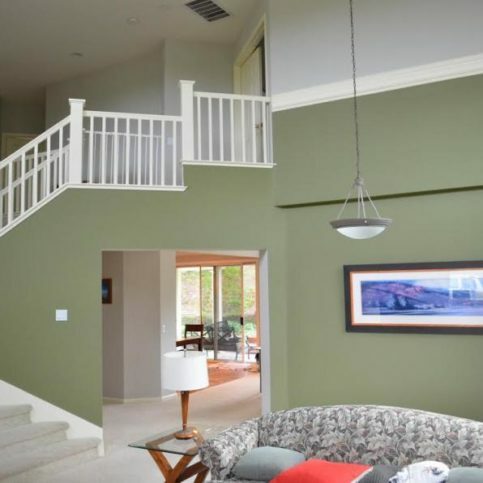 The Painting Pros recently completed this interior painting project. 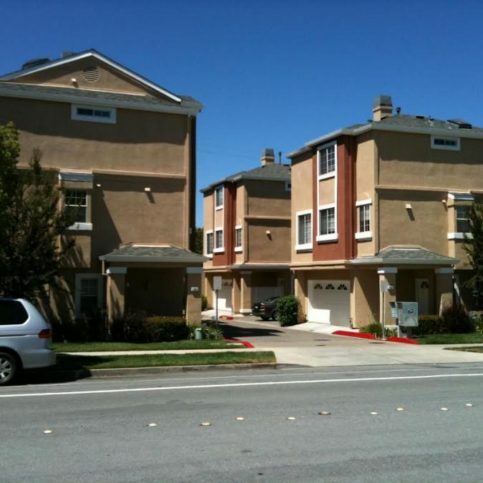 The Painting Pros has been providing residential and commercial painting services for homeowners throughout the South Bay since 1978. 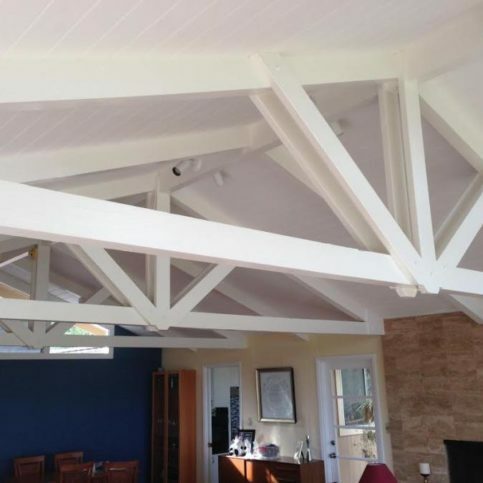 In addition to its interior and exterior painting capabilities, the company handles faux finishes, deck refinishing, light carpentry (trim installation and general repairs), and minor sheetrock repairs and texturing. It also offers free, in-home consultations to customers who are unsure about choosing the correct paint colors for their homes. Preparation is the key to any high-quality paint job. When taking on an interior painting project, the first thing you should do is prepare your walls—not only does this ensure your paint will adhere properly, it also gives painted surfaces a flawless, new look. Surface dirt can cause poor adhesion no matter how high-quality your paint is, so use a light detergent to wash any part of the wall that’s soiled or has oily residue from being regularly touched. After the surface is clean, wipe it with a damp cloth to remove excess detergent and let it dry before painting. Before you start painting, remember to remove as much furniture as possible from the surrounding area. Use drop cloths to cover the floor and any furniture that can’t be moved. Plastic drop cloths work best when it comes to covering furniture, but canvas drop cloths are better for floors because they absorb paint, won’t slip or move, and can be reused. If you find any loose or scaling paint before you start your painting project, use a putty knife to remove it and sand the paint edges so they won’t be noticeable when you re-coat. If you have to remove paint from the sash, trim or doors, use fine sandpaper to sand the entire surface first. A: We’re somewhat more expensive than other painting companies, but that’s due to our rigorous standards of quality. We can’t speak to how our competition bids on jobs, but our approach is to estimate what it will take to deliver the best possible results, and that determines the prices we quote. We don’t low-ball bids in order to sway our customers to sign contracts—we’ll tell you upfront what it will cost to get the job done right. A: We’re usually booked about a week in advance. During busy seasons, it’s more like two weeks. A: Yes, that’s part of our preparation. All we ask is that you move any small, breakable items—we’ll take care of the rest. Q: Does it really matter what brand of paint you use? A: Absolutely. Low-quality paints simply don’t look as good or last as long as high-quality paints. That’s why we only use premium paints made by Kelly-Moore, Benjamin Moore and Sherwin-Williams. Q: Can you help me select the right color for my painting project? A: Yes. We keep a color consultant on call to help in these situations. She used to work for Benjamin Moore, and she’s great at her job. 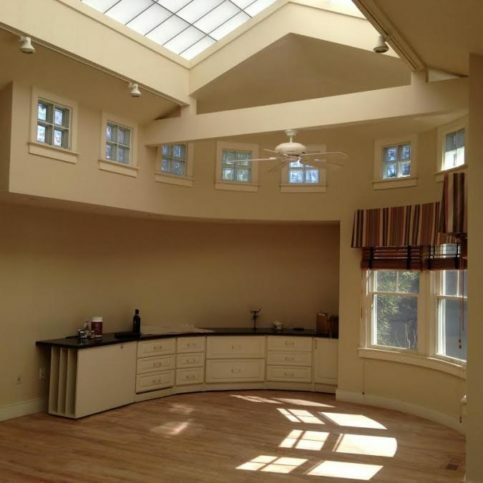 The Painting Pros can turn a home into a showcase. 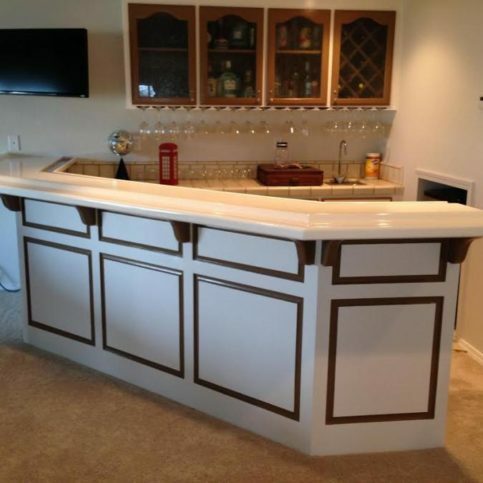 The Painting Pros is known for its attention to detail. The Painting Pros only uses the highest quality paints. The Painting Pros can handle all its clientsÛª exterior painting needs. 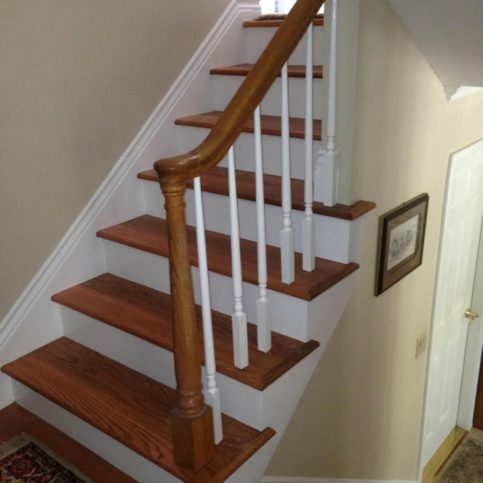 The Painting Pros strives to bring out the best in each home. Cleve Dayton is owner of The Painting Pros, a Diamond Certified company since 2002. He can be reached at (408) 622-0418 or by email. Outside of work, Cleve’s primary hobby is playing and performing music, an interest he’s pursued since his youth. “My wife and I play in a local rock band called Rusty—I’m the guitarist and she’s the singer,” he says. “Oddly enough, almost every member of the band is a past customer of mine. While on the job, I’d see a drum set or keyboard and we’d start talking. Next thing you know, we’re jamming together!” In addition to playing music, Cleve enjoys videography; photography; and spending time with his son, Daniel, and his three grandchildren. Q: Which guitarists have influenced you the most? A: Jimi Hendrix, Eric Clapton, Jeff Beck and Stevie Ray Vaughan. A: Viva! Neighborhood Eatery of Los Gatos. A: “Let It Be” by the Beatles. 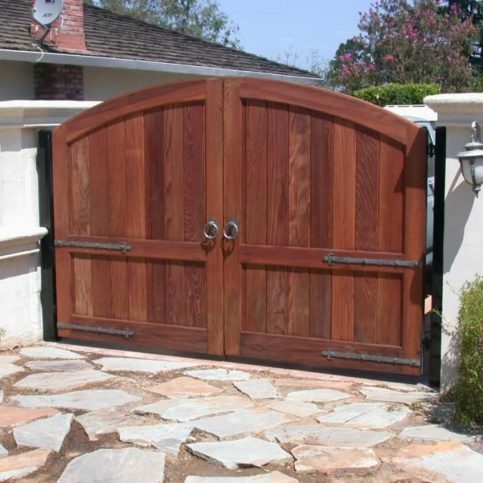 LOS GATOS — While environmentally-friendly materials offer a healthier approach to home improvement, they aren’t always compatible when used alongside traditional ones. One example of this is using a water-based paint on an oil-based surface. While it may take a while to show, when water-based paint is applied to an oil-based surface, it results in problems. This is essentially due to the well-known rule that oil and water don’t mix. Because of the new coat’s water-based constitution, it will fail to bond properly with the existing oil-based surface and eventually start to peel right off the wall. Since many homes contain oil-based surfaces, if you’re planning to use a water-based paint product, you should first determine the character of the surface you’ll be painting over. Fortunately, testing a surface is fairly easy: simply soak a Q-tip, cotton ball or clean rag in rubbing alcohol and rub it over a small section of the wall. If paint comes off, it’s water-based; if not, it’s oil-based. If you find that a surface is oil-based, you’ll need to properly prep the area before applying a water-based paint product. Preparation consists of two basic steps: completely sand the area and apply an oil-based primer. Once your primer coat is dry, you can apply your water-based paint. LOS GATOS — Host, Sarah Rutan: Prior to repainting a wall in your home, it’s important to know the character of the existing paints surface. Today we’re in Los Gatos with Diamond Certified Expert Contributor Cleve Dayton to learn more. Diamond Certified Expert Contributor, Cleve Dayton: In my experience one of the biggest problems homeowners have when they’re painting is before they paint, they haven’t determined whether the existing paint surface is oil base or water base. If they’re painting with water base now, they need to know what the surface is that they’re painting. If it’s oil base, you cannot paint water base over oil. If it’s water base, you can certainly paint water base over that. If you find out that it’s oil base, it needs to be sanded completely and primed and then you can paint it. If you don’t sand it and prime it, you’re going to find that the water-based paint is actually going to literally just peel right off of the oil-based surface. The Painting Pros : Average 9.2 out of 10 based on 267 unique customer surveys of customer satisfaction. They are really top-notch. They did a great job on my Tuscan farmhouse. There were four guys, and I fed them every day, and I would definitely use them again. As a matter of fact, I have their card in my hand to call them right now. Their cost is middle of the road, but the quality is the top. You will pay a little more, but it is worth it. They were on time, cleaned up, and they told us what they accomplished for the day, and what they would be working on tomorrow. They were very accommodating with regard to the schedule. They did a lot of much needed prep work. They did the job well, and cleaned up well. They also did a few additional things that I asked them to do. They had a color consultant that helped me with picking colors for my rooms. They were trustworthy, reliable, and they did what they said they were going to do. They wanted us to know when they checked in every day, and they cleaned up and followed through. They have an interest in providing high quality and great customer service. One of the painters, named Salvatore, was great. He was very pleasant, and he wasn't satisfied until the work was done perfectly. The representative that I worked with, Rochon Young, was just awesome. She was very personable. I have referred them to many people, because they do a really good job. I have just talked to them today. They are just honest and just good people. They are the best in class. I've used them before and I'll use them again. Their attention to detail stands out. They really know their stuff. I would definitely recommend them. They provide efficient, quality service. The personal attention by the owner, Cleve Dayton, stood out for me. That they should use them, if your painting job is big enough they have a color consultant you can book to come and she can work from whatever vague descriptions you have, or pictures you've found in a magazine you loved. She'll tell you what you need and what colors you need to do it. So they're supportive even at the design stage which not everybody does. Their colorist, that was really wonderful and the guys who came to paint were all wonderful too. We painted everything indoors, every room, and then some months later we had them come and paint the outside and they sent the same guys for both jobs. It was worth the weeks we had to wait. They do a good job and they come when they say they're going to come. They do a good job and they come when they say they're going to come. They do pretty well. They just did fantastic, quality work. They were very clean, neat, and the painting was well done. That they're very knowledgeable, and they care about doing a good job. I liked the competence of the painters and their concern for perfection. I would definitely recommend the fellas that worked here. I'm sorry I can't remember his name. They were very clean, they got here on time, they worked steady all day, and they did a great job. They do a real nice job, they're very quick, they keep it nice and clean, and the paint last 10 years. They were very skilled at their work. I've already told my friends that we were highly satisfied with them and if they needed a painter to use them. They were wonderful. Everything went well. It was a really satisfactory project and there weren't any surprises. We were happy with everything. Their bid was accurate, they showed up on time, they cleaned up after themselves, and they were pretty much everything you could want. They set our expectations properly. That they're very professional, that they're very efficient, and they're really good at keeping things low-cost. I liked the crew that they brought, they were really easy to work with and the owner, Cleve, that came out and did the proposal was a really good person. So the people that I interacted with, they had someone come out and do paint colors with us too, they all gave great service. They finished a few days before schedule. We were pretty satisfied. They were especially skilled at helping me select colors. They have some kind of color guru working for them that helped me pick a color. I just thought the quality of the work was spot on, and I was very satisfied. They were also efficient. They were professional, they were nice people and they did a great job.